The Stampin'Up Truly Tailored stamp set is perfect for Masculine cards. I love that it has a coordinating Tailored Tag punch. The stamp set will retire May 25 but the punch is rolling over to the new catalog. (There will be a new stamp set that coordinates with the punch). 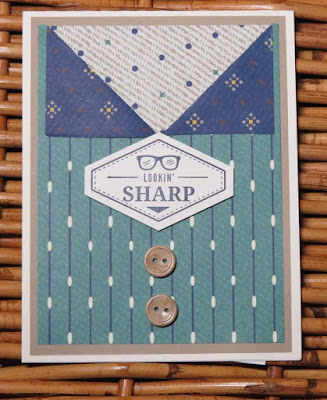 You can purchase the Truly Tailored stamp set and punch as a bundle and save 10%. To place an online order, please click on one of the pictures below.